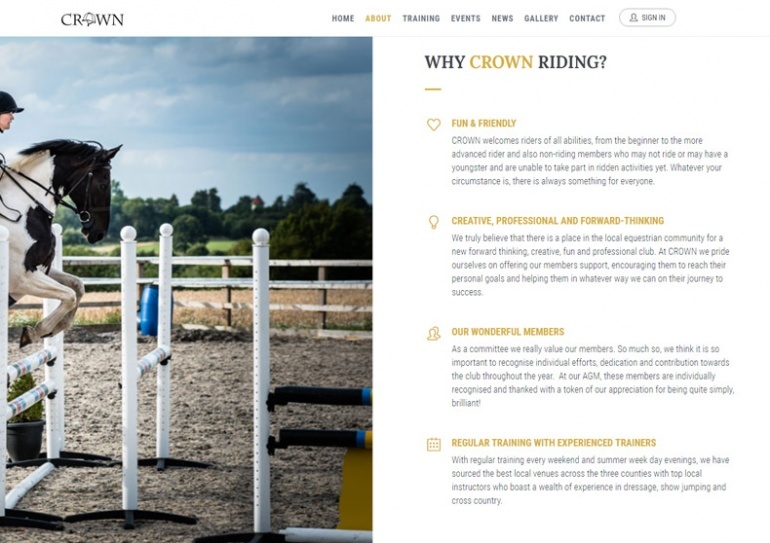 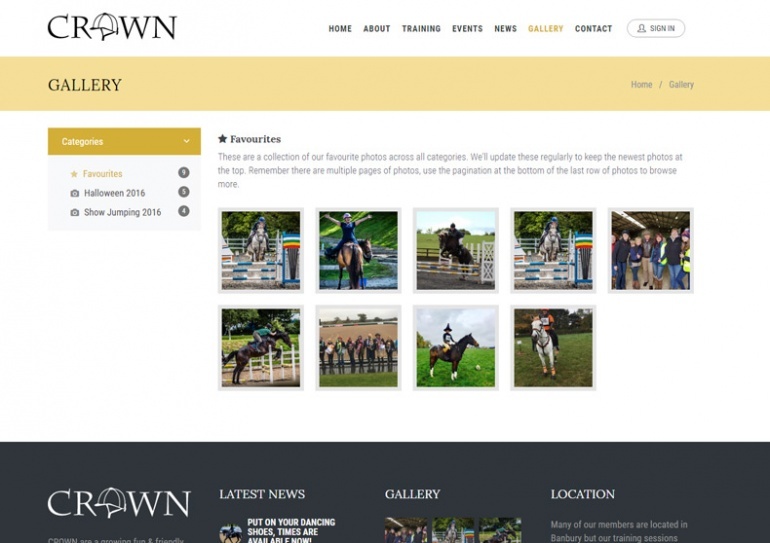 Crown Riding are a well recognised horse riding club based in Oxfordshire, chaired by Lucie Scopes, whom we worked with on R C Baker, one of our other clients. 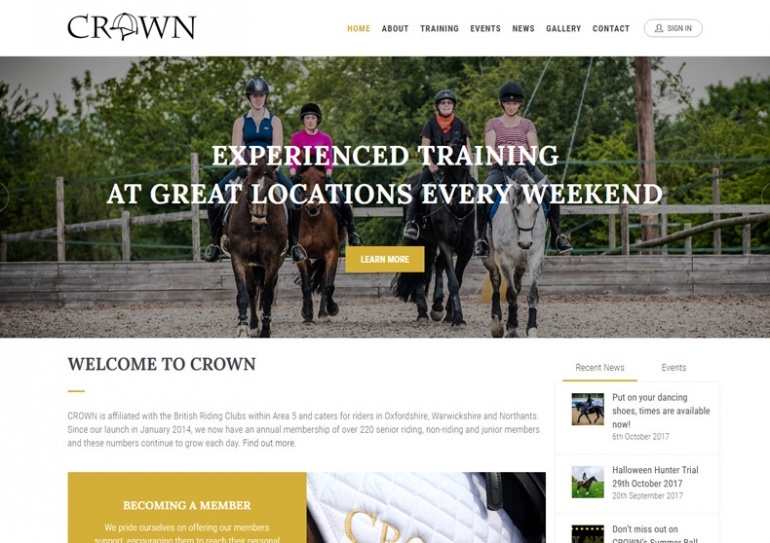 It was great to work again with Lucie, and the other Crown Riding committee, which was lots of fun scoping out all the exciting new functionality of the Crown website. 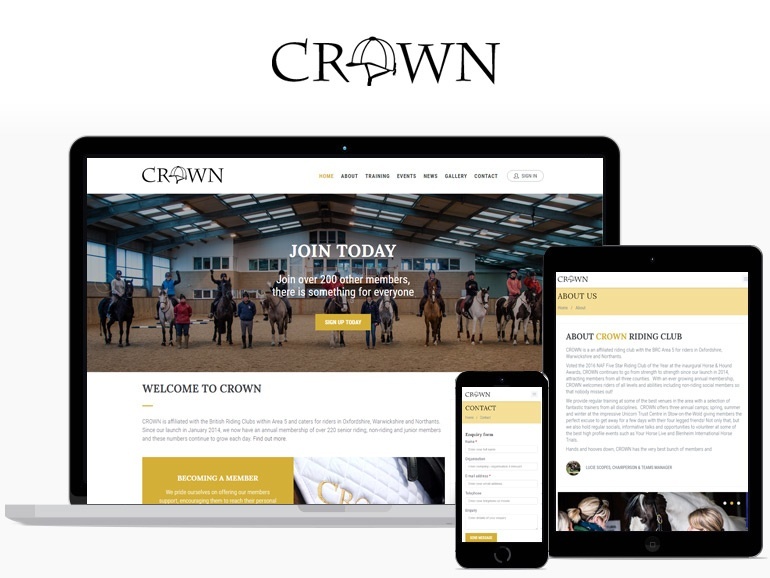 The website has been modelled around the Crown membership system whereby individuals can sign up to become a member, or manage their annual membership renewal online. 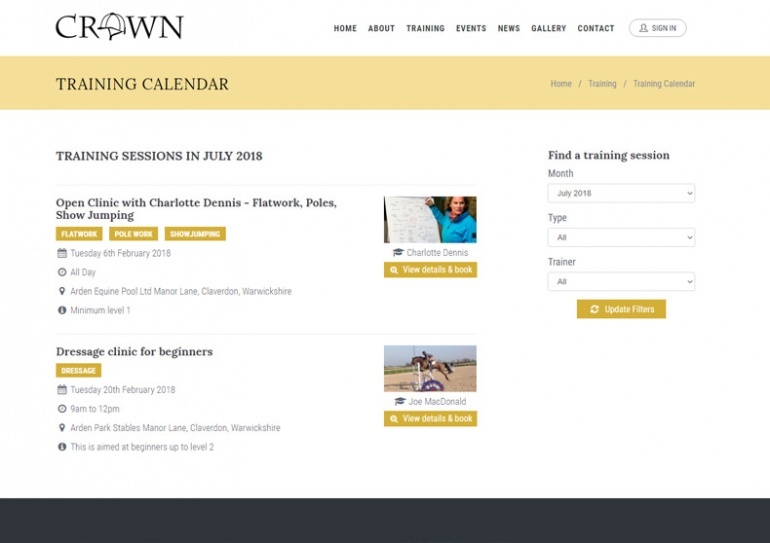 As part of a comprehensive member portal, a member can book themselves onto Training sessions and Events, as well as paying for those conveniently via PayPal using a debit/credit card and generating email notifications.